For ten days in the hot summer of 1895, thirteen-year-old Robert Coombes and his little brother lived large in London's East End, spending lavishly on food and entertainment. Their lark came to an abrupt end when a suspicious aunt made a gruesome discovery in their home: the badly decomposed body of the boys' mother. Robert admitted to stabbing her, and the subsequent trial captivated the public. Eventually, Robert was sentenced to a stint at a notorious mental asylum, where he would start a new, redemptive chapter of his life. 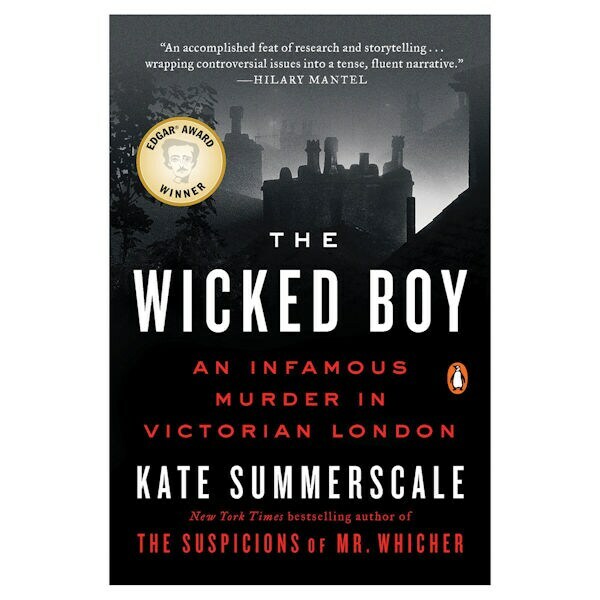 Kate Summerscale offers a riveting and nuanced look at the lurid crime and its fascinating aftermath, probing the myriad complexities of a modernizing society and shedding light on psychological conundrums that remain today. The Wicked Boy is a deeply researched historical study that reads like an atmospheric novel.